Bedrooms: 3, bathrooms: 2, sleeps 8. This was our third stay at Villa Gentile. We love it for its central location to many Tuscan sites and for its friendly owners, Alberto and Beatrice (and their daughter Olivia). Our stay was wonderful and we were able to visit four new places on this trip: Assisi, Gubbio, Vinci and Volterra. We have been Summer In Italy customers for over a decade and they have never disappointed. We really enjoyed our stay prior to a family wedding. Very friendly owners. Wine and local oil was a lovely arrival gift. Lots of advise about local shops. Very easy booking process. Payments safe and queries answered promptly. A good company to deal with. Would visit again, thank you both. The owners were great hosts, very accommodating and friendly. This place is about 30 minutes from central Florence. Away from the noise and crowds. 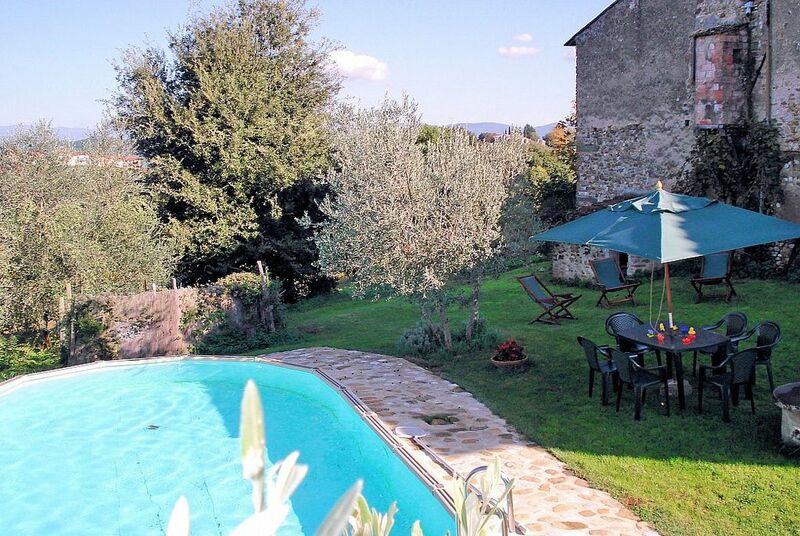 This is a very old farm and allows you to experience nature, the views of Tuscany vineyards and is only steps away from town. Nice place to experience the local Tuscany lifestyle! We enjoyed staying at the Villa - the owners were great hosts, beautiful setting and views and centrally located for Tuscan touring. We would definitely go back if we return to Tuscany. The location is in the valley next to San Cassiano which has a close supermarket and fine restaurants (we recommend Cinque di Vino). The house is spacious and can easily handle 3 couples. (note there is no AC). Grazie to our hosts. Once again we had a GREAT stay at Villa Gentile. :) Loved this place. Thank you! The rental price includes: final cleaning; electricity; linens; towels.Available upon request: baby bed. Available for a fee, if desired:heating (when needed) EUR 1.00/m3.